Mandi has been in private practice for over 20 years and helped hundreds of young people, couples and individuals explore their problems, realise their dreams. Heidi uses her extensively learned skills & techniques to help her clients explore their lives as a whole, seeing what is working & what isn’t and what they need to change. Emma’s empathic, kind, caring & supportive nature will help you feel at ease immediately, giving you the help you need to overcome your problems. Emma’s background is as a Specialist Support Worker & Team Teacher/Tutor working in schools supporting children with Special Education Needs and Disabilities. Vicky has been a counsellor since 2016, working with many different clients in helping to resolve past and present issues, to enable clients to lead happy and fulfilled lives for the future. Mandy has many years of experience in providing psychotherapy support and life coaching. She provides a wide range of therapies with a caring, confidential and professional approach. Joy is passionate that everybody should have the opportunity to understand how therapy can help you move forward with your life, motivate & encourage you to be the best you want to be. Julie is a person-centred therapist who is experienced working with adults and young people and has a proven ability to encourage personal growth and motivation in life. 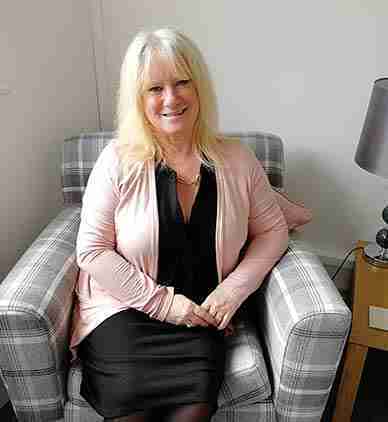 Debbie provides a range of approaches to her therapeutic counselling services working in a person centered manner helping you to fix any problems & achieve the best from your life. Anthea's background is in education and working with trauma. She specialises is identifying connections between past and present behaviour and in relationship patterns.